All group classes are taught at You Should Be Dancing! To schedule any private lessons, please call (212) 244-0011 and request Lainey Silver. Add some fancy moves to your repertoire! We'll work on arm-patterns, multiple turns, styling, and fancy footwork. Continue to perfect your shuffle with techniques and exercises. Let’s keep growing our NYC balboa scene! This fun dance originated in Southern California in the 1930s and now has a cult following among jazz dance aficionados. Learn how to do the up-hold basic, down-hold basic, come around, toss-out, lollies, out-and-ins, and more! If you already know your basics, come to class to brush up on your technique and smooth out your transitions. Rotating monthly topics. For Students with no prior knowledge or background in Lindy Hop / Swing. 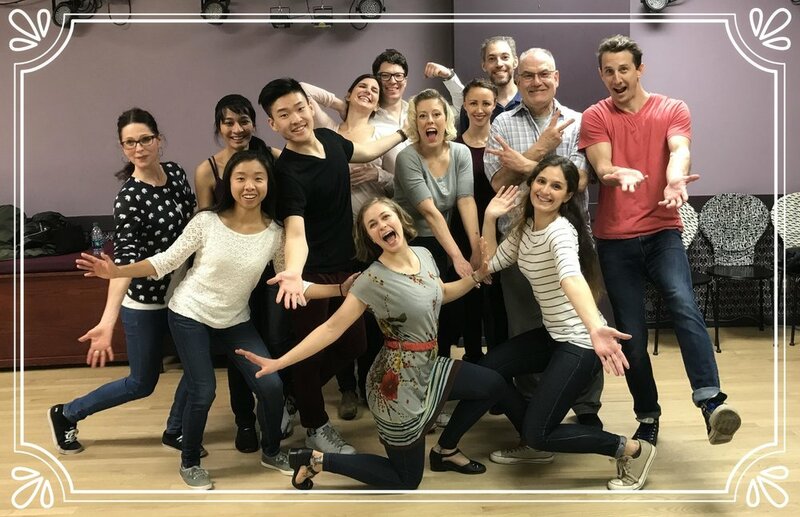 This class is an introduction to the look and feel of social swing dancing. This course is intended to provide instruction and repetition of the basic 6-count patterns that form the structure of this dance. Students should take this course for at least two months before moving on. This class introduces 8-count patterns—the basis for more complicated swing dancing. We'll cover swingouts, 8-count turns, styling, and connection. Additional topics include how to know if the movement is 6 or 8 counts, fun ways to change the 8 count footwork, and basic charleston patterns and transitions. This is a 3-month course that you can jump in and start at any month. Learn the basic rhythm, come arounds, lollies, and more! This class is for brand new balboa dancers and for those wanting to brush up their technique. Make sure to wear slippery shoes! Do you ever wonder how some dancers look so effortless in their movements? They have great body awareness! Lainey will show you tips, tricks, and specific exercises on body awareness, proprioception, stretching, muscle building, turns, and balance training. Workout clothing, sneakers, and bare feet are strongly encouraged. Do you love Balboa?! Want to push your Bal skills to new heights? Take the leap with a fun, fancy, and FLASHY performance routine that will teach you footwork, styling, and a few new variations on your favorite moves. Check out some recaps from Lainey's classes on YouTube!